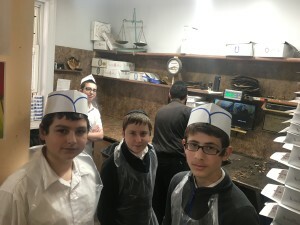 Last week, the Bocuhrim took a trip to the Boro Park Matzah Factory to help make Shmurah Matzah with all the highest standards. 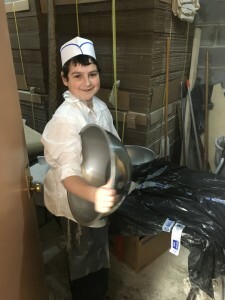 They enjoyed the behind the scenes of the Matzah baking process, and were especially excited to take part in the factory’s meticulous procedures. In order to make the Matzah in the most Kosher way possible, the workers have to exchange their rolling pins every 18 minutes. “The fact that Jews around the world can have the highest quality Shmurah Matza makes me really happy,” said one bochur. All in all, this was a successful trip. Till next year, when with Hashem’s help we will all be redeemed and be in Yerushalaim. Good luck with Bedikas Chameitz and Happy Pesach!